Hab den Mulcher jetzt seit nem guten halben Jahr im Gebrauch. Das ganze tun andere auch, die sind aber doppelt so teuer. Für jeden der " Semiproffesionell " arbeitet die richtige Wahl. Bin im Besitz seit einem Jahr. Top Qualität und verarbeitung. 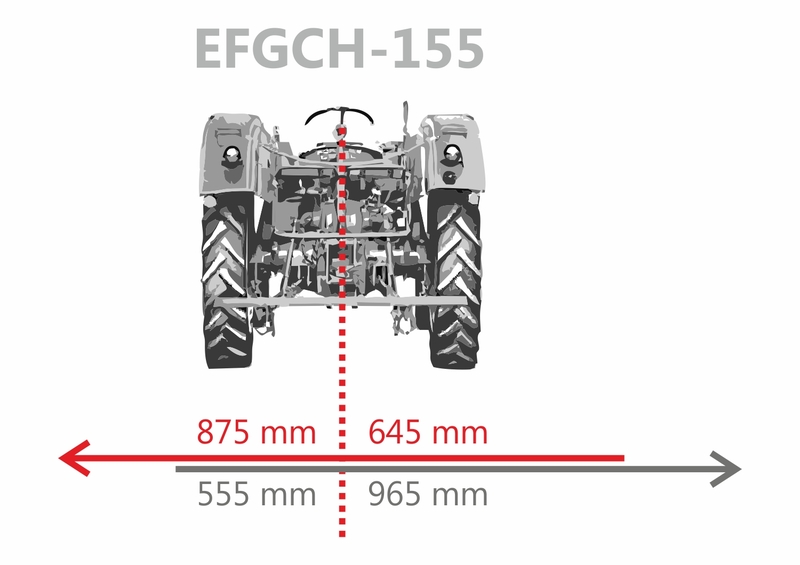 The especially robust construction of the mulch mower EFGCH-155 with hydraulic sideshift makes it stand out. It has a special reinforced angular gearbox and is outstanding in its operation as a mulch mower, a flail mower, etc. The flail mower has a mowing width of 152 cm and is driven using a P.T.O, included as part of the delivery. The 24 specially hardened, 0.8 kg hammer blades, which are arranged on a double spiral drive shaft, shred clippings to a minimum size. Even very high grass, bushy or straw-like clippings are no problem for this mower!